After receiving a “BitLicense” to operate as a virtual currency exchange in New York in November 2017, the Tokyo-based company has now received approval to operate in 44 states and territories. On January 22, 2018, bitFlyer announced its expansion into Europe, after being granted a Payment Institution (PI) license to operate in the European Union. This announcement made bitFlyer the first cryptocurrency exchange to be regulated in Japan, the U.S. and the EU. Chicago, Illinois, is a hotbed of cryptocurrency activity and home of the Chicago Blockchain Center, founded by Matthew Roszak. Furthermore, financial markets company CME Group and Chicago Board Options Exchange (Cboe), two companies that started bitcoin futures trading in December 2017, are located there. 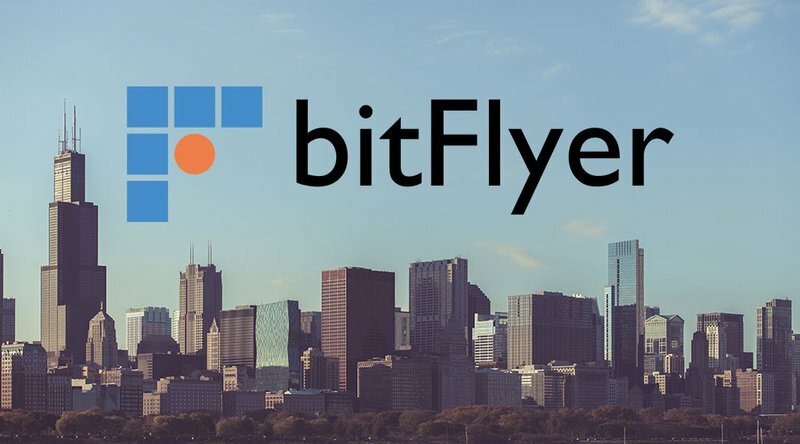 bitFlyer was founded in 2014 and has raised $36 million in venture capital funding. While it supports only Bitcoin in the U.S. and Europe, it also supports Bitcoin, Bitcoin Cash, Ethereum, Ethereum Classic and Monacoin in Japan. In addition to bitFlyer’s work in fintech and blockchain research, the company is working on its own original blockchain, miyabi.